Need a Chocolate Fountain Hire? Do you need that special touch added to your event, wedding, party or function? 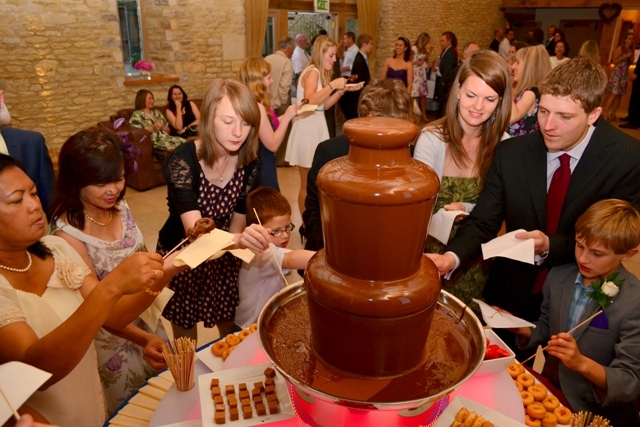 A chocolate fountain hire will make your event stand out from the crowd. Small, medium, large or even double fountains are an ice-breaker at any get together and are a talking point for years to come. Dazzle friends, impress relatives even upstage competitors. 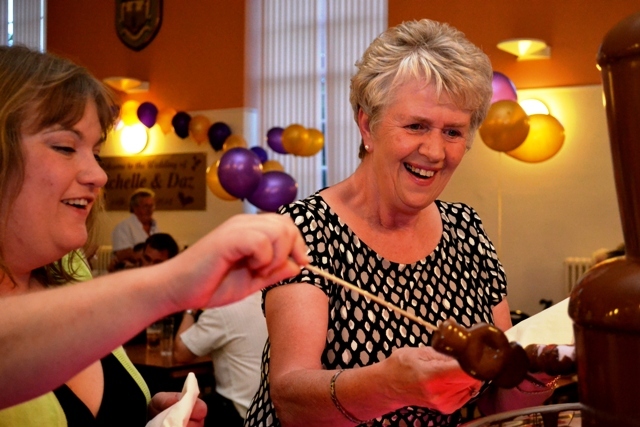 Chocolate Fountains are always an exciting, competitively-priced option over that boring, post-buffet dessert. Our fountains have been hired out at many hotels, clubs, private parties in the Middlesex area for weddings, parties, functions, and promotions. 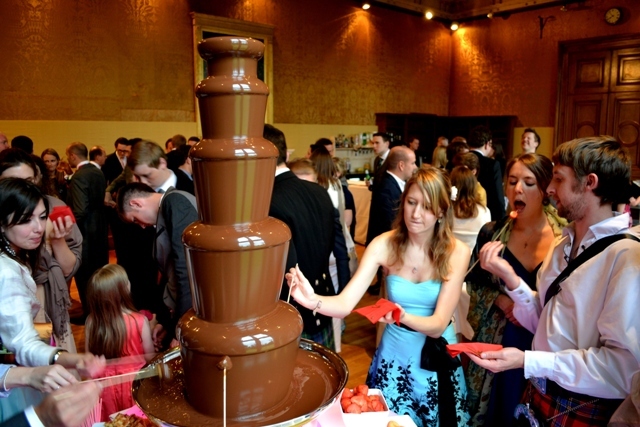 Why choose Chocolate Fountains R Us? Since 2005, we have attended hundreds of events which have included, wedding receptions, corporate dinners, Asian weddings, celebrity parties and birthday celebrations. This gives us confidence in providing you with a professional and reliable service. 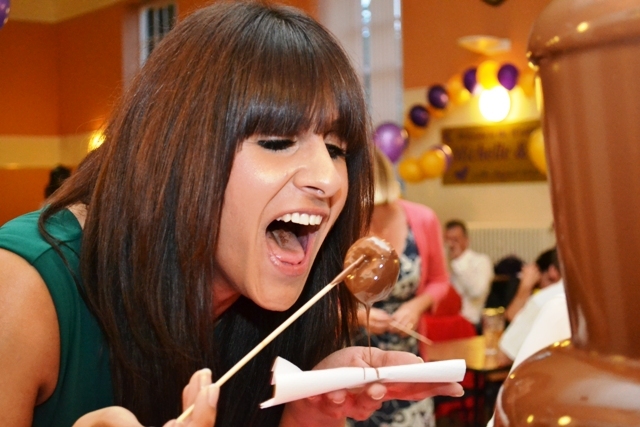 Our aim is to make your Chocolate Fountain Hire experience enjoyable and fun. Starting at just 180 pounds from our affordable Chocolate Fountain Hire range to our exclusive, wow-factor, 7-foot, talk about it for years after hire. 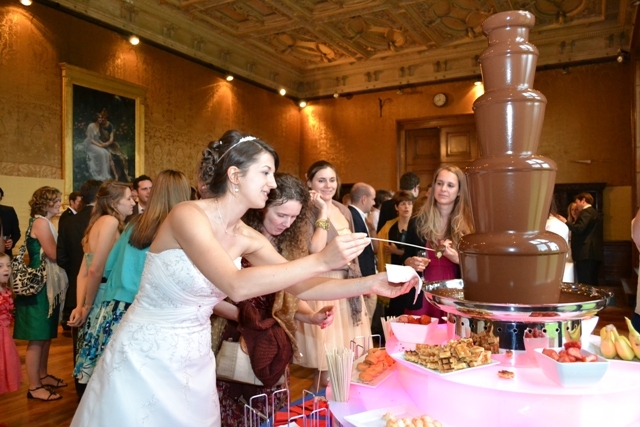 All our Chocolate Fountain Hires come with an aesthetically-matching, multi-coloured surround, 5-foot round table and draped cloth, quality cutlery, bamboo skewers, up to ten delicious dips, an attendant for the tenure of the hire plus only the very best, unlimited Barry Callebaut Couvature Fountain-Ready Chocolate. ● Registered with the Environmental Health. ● 4-Star 'Scores on the Doors' Food Hygiene Rating. ● A Catalogue of 100's of Events. Call Bob or Michelle today on: M: 07816200045 to talk all things chocolate, Email us or use our online Enquiry Form and visit our Chocolate Blog to see us in action with all those happy faces.